The numerous Disney characters have been an inspiration for generations. 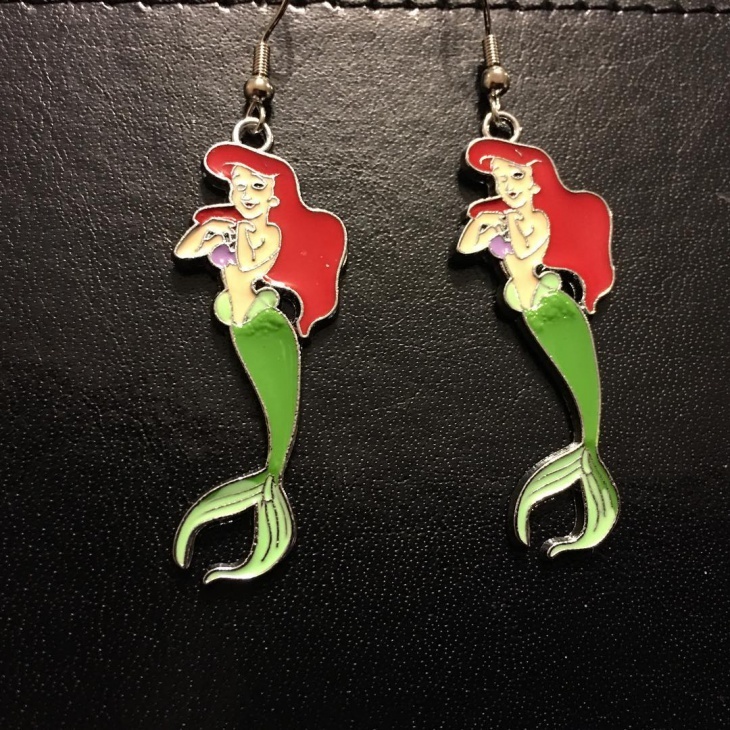 Disney earrings have a touch of magic making their concept appealing to women of all ages. 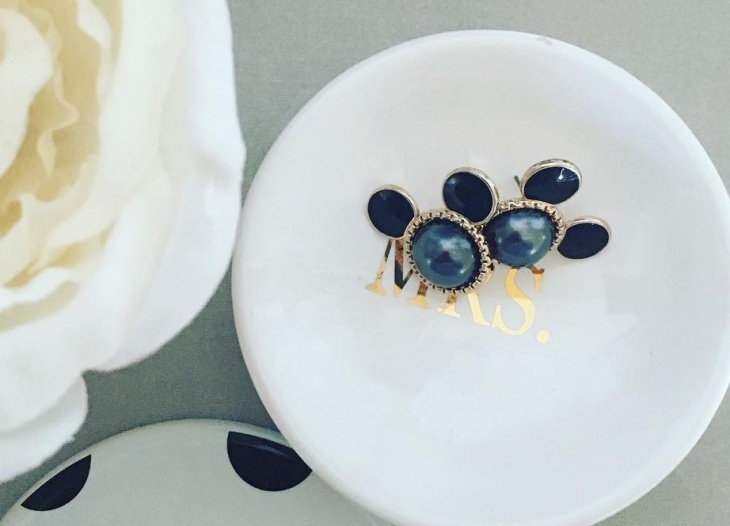 Each piece of jewelry has a unique background of inspiration that is sure to give a magical boost to your jewelry collection. 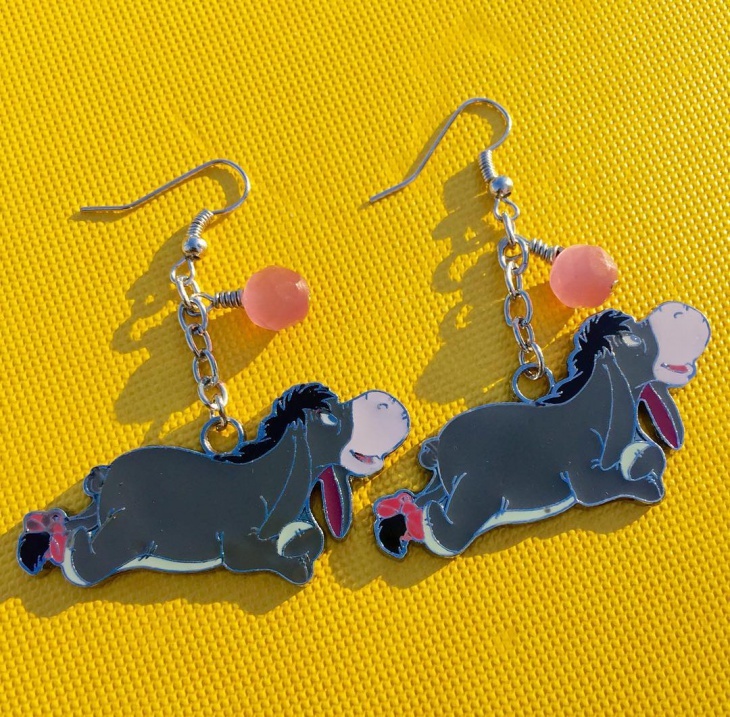 In today’s post we have prepared a collection of cute Disney earring designs that is going to take you to an adventurous journey of glamorous magic. 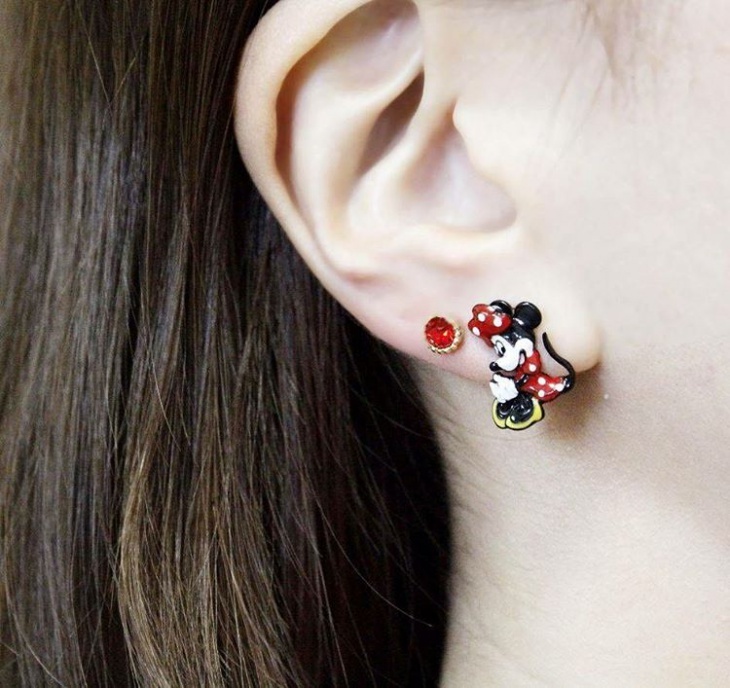 This birthstone Disney earrings are inspired by the Minnie Mouse. The round shape of the gemstone with the enamel round ears create a cute and elegant pair. The gemstone can be replaced with a different birthstone to match your own while it is suitable for all ages and occasions. 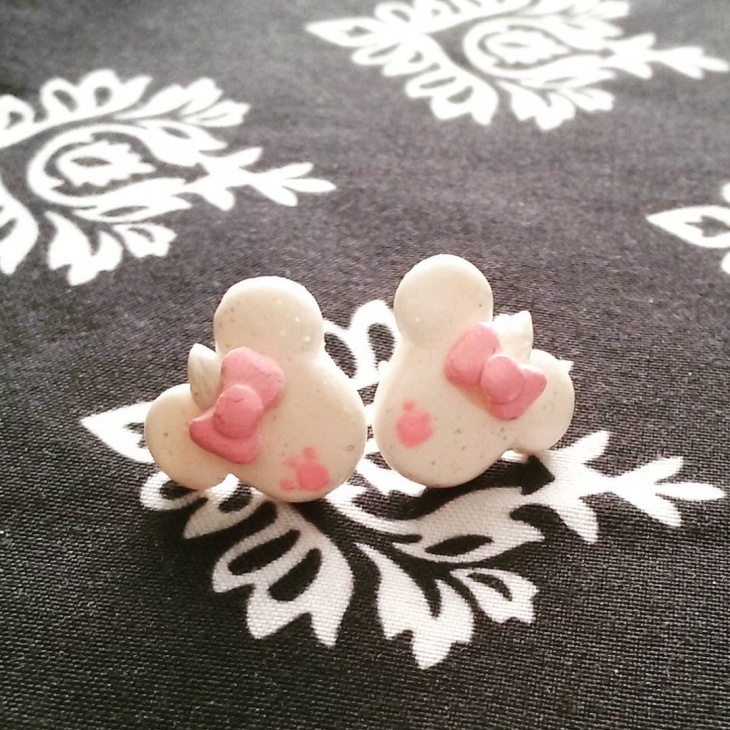 This earring looks so cute and girly that makes it perfect for every girl. The design has great detail of the red dress and bow with the white dots as well as the yellow shoes and the tail. 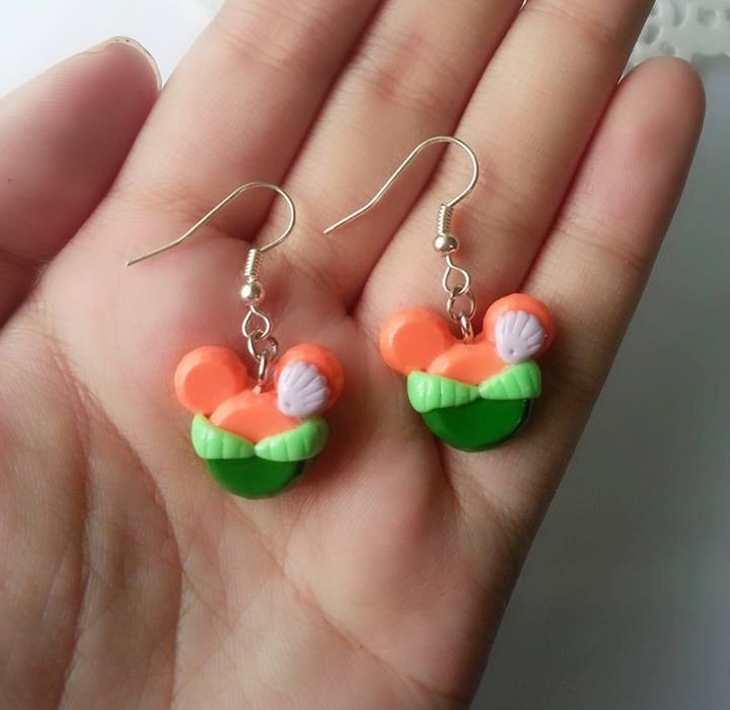 You can get this pair for your daughter or your niece. 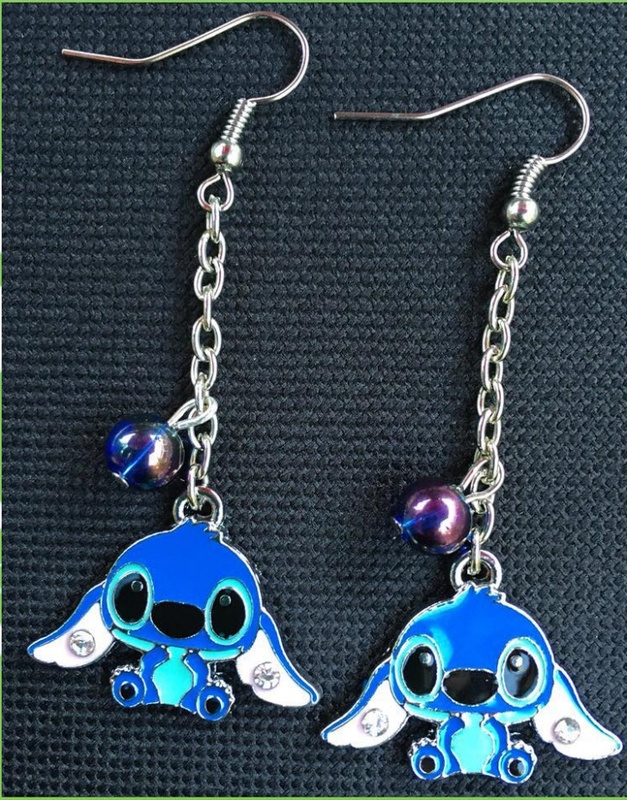 In 2015 Pandora launched a new collection inspired by famous Disney characters. The different designs, along with the sparkling gemstones and rhinestones, created amazing results like this dazzling pair of earrings. 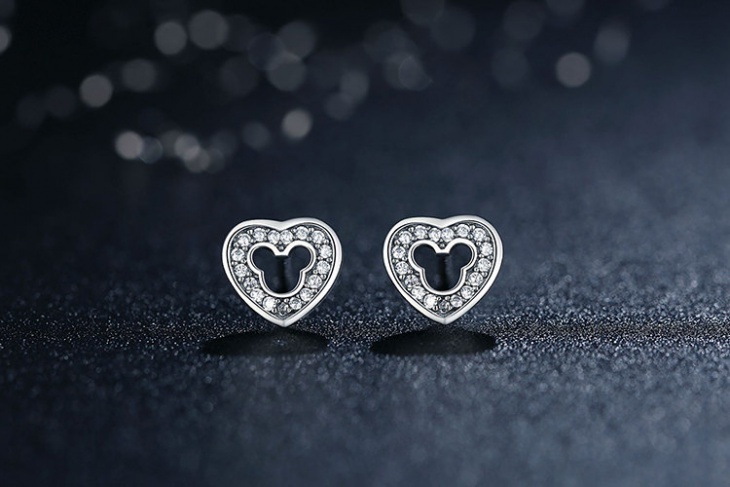 The elegance of the pair is suitable for all ages and both casual and formal occasions. 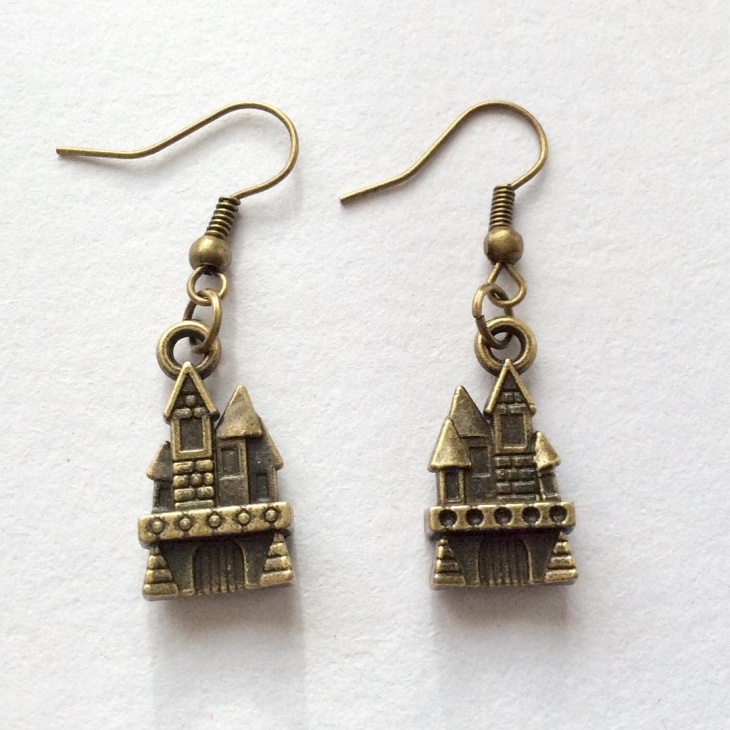 These dangle earrings have a summery feeling. 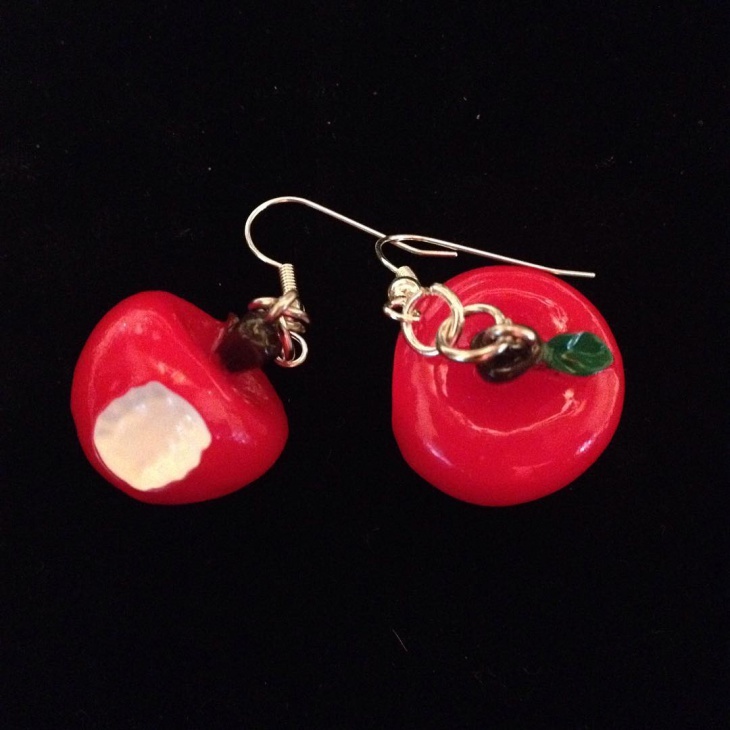 The pair was inspired from Minnie and Little Mermaid creating a stunning combination. 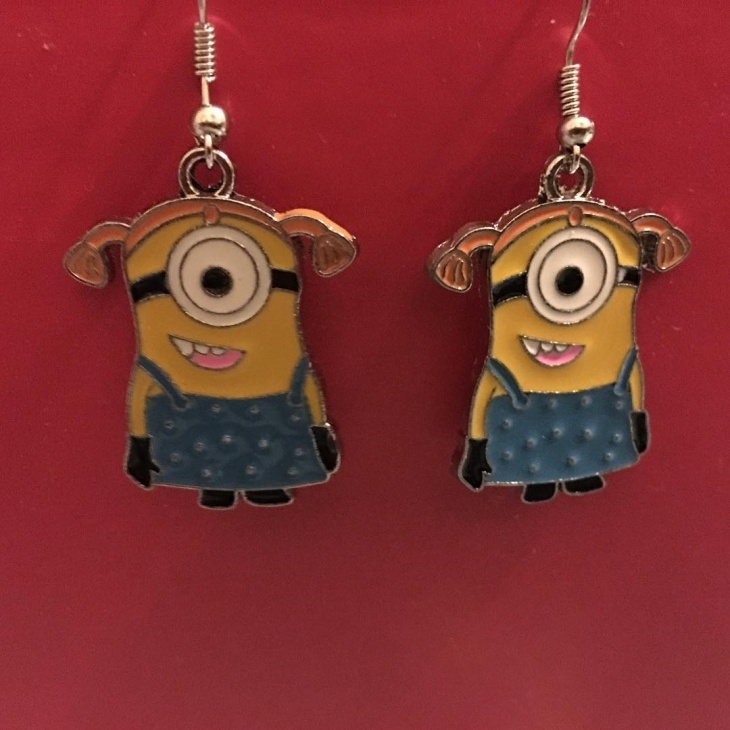 The bright pastel colors match each other beautifully creating an amazing pair suitable for young girls and pre-teens to wear during spring and summer time. Frozen is a favorite story for both kids and adults. 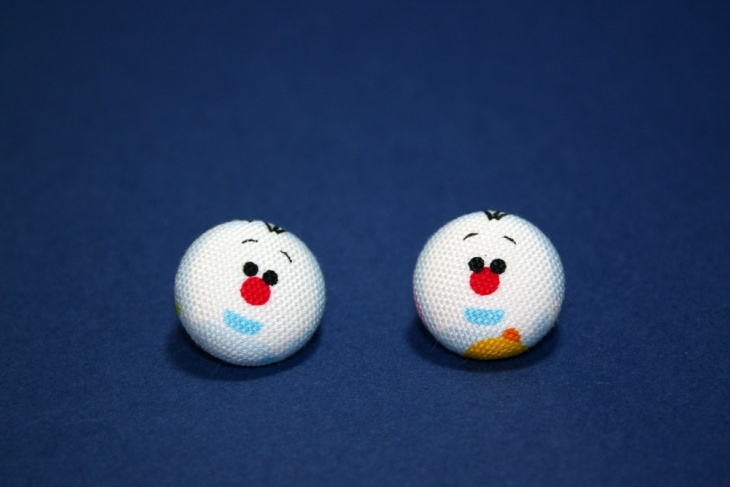 These stud earrings have a button-like look and they depict Olef, the little snowman who comes to life because of Elsa’s powers. This pair has a soft look that is suitable for all ages. 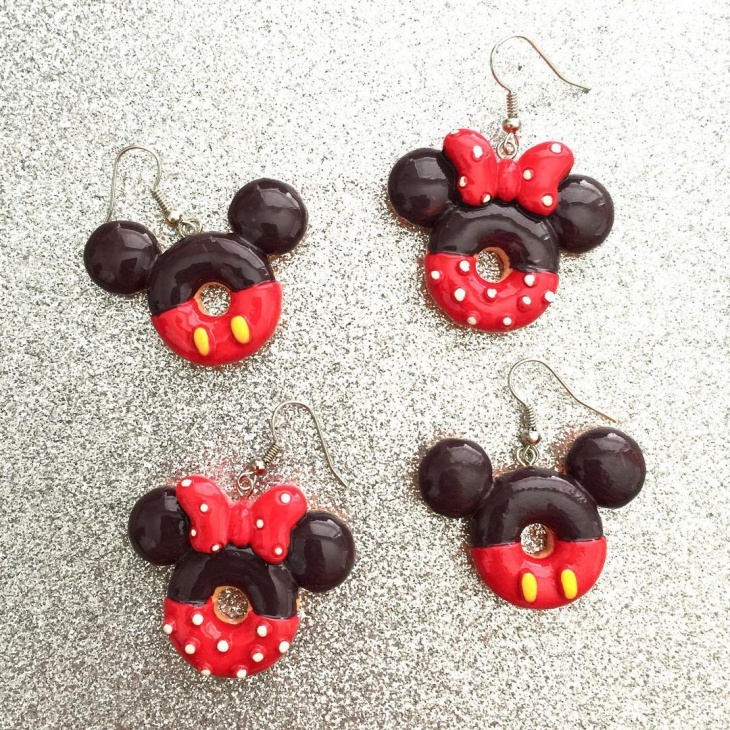 Everyone likes donuts, especially when they are glazed with Disney designs. 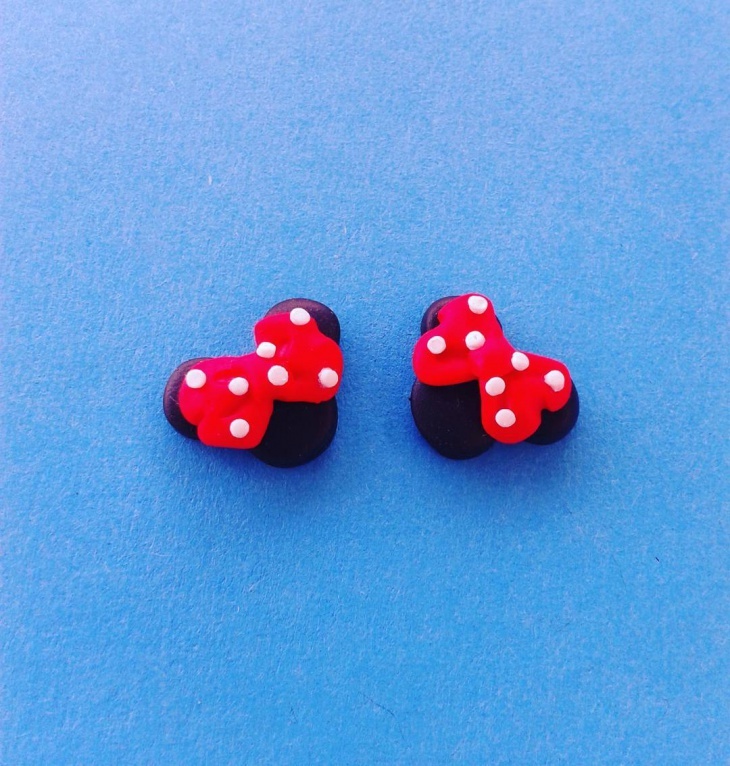 These two pairs of Mickey and Minnie Mouse look amazing. The chocolate brown colors and the red, white and yellow details make them look sweet and ready to eat. Appropriate for parties and other occasions for all ages. 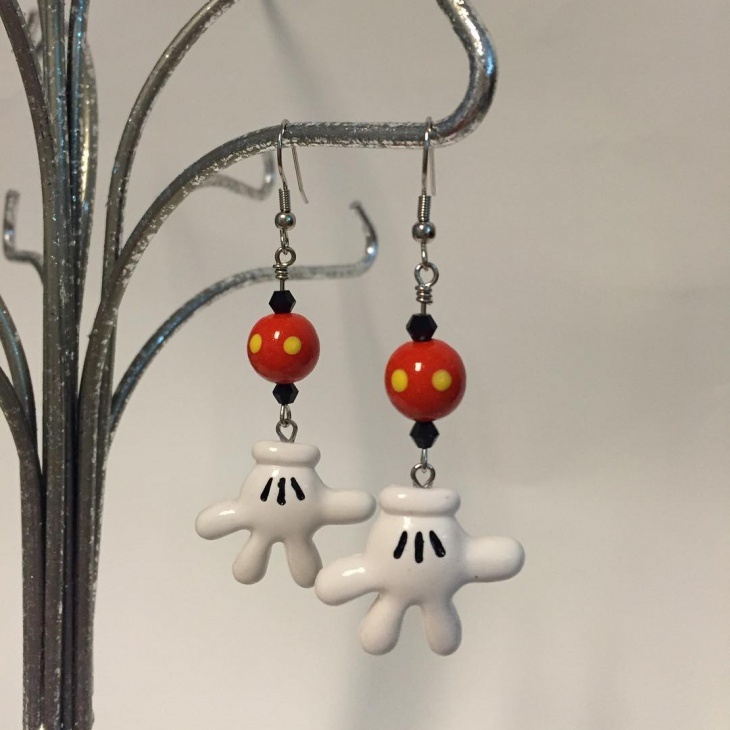 A pair of dangle earrings with round beads and gloved hands. This is clearly inspired by the Mickey Mouse as it has the colors of his usual clothes. 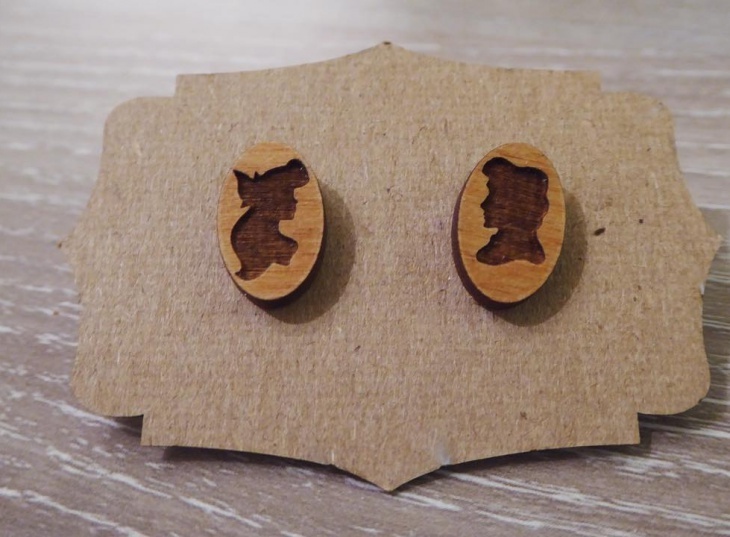 This is great for every age can be matched with other Disney inspired accessories or clothing for a complete look. 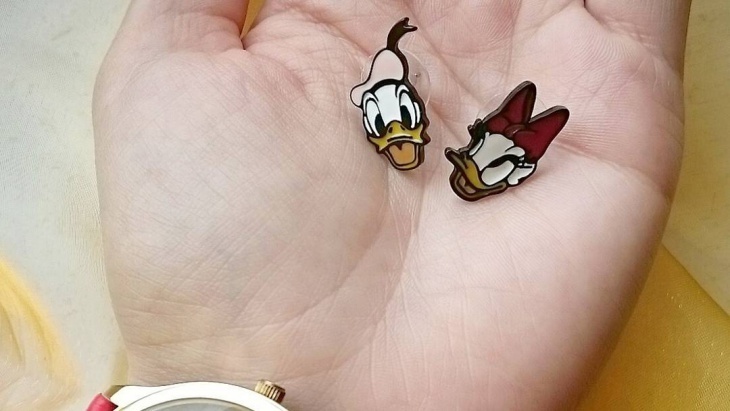 Disney earrings are not only for kids. 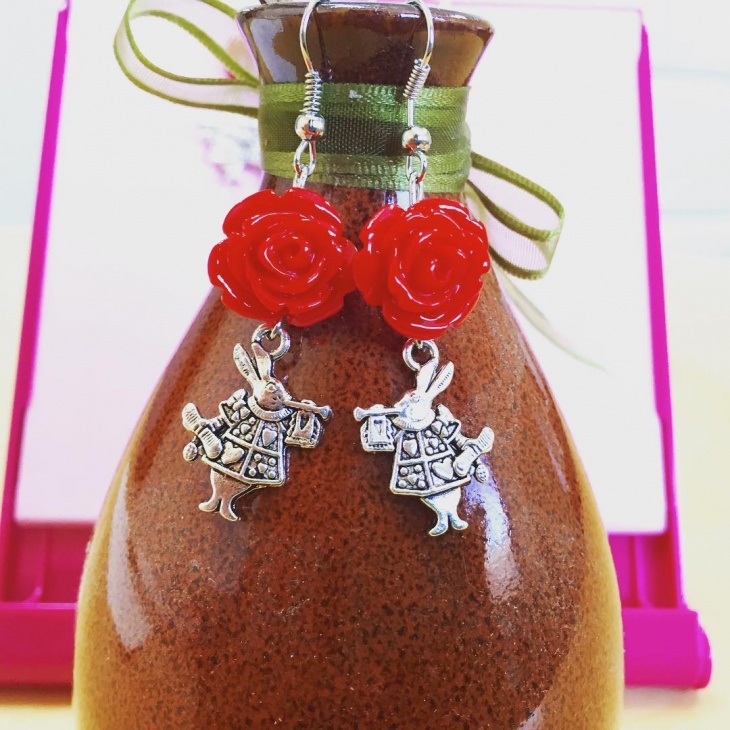 Every woman gets inspired by the vivacious characters and incorporates it in her collection of jewelry designs.